Osteichthyes /ˌɒstiːˈɪkθi.iːz/, popularly referred to as the bony fish, is a diverse taxonomic group of fish that have skeletons primarily composed of bone tissue, as opposed to cartilage. The vast majority of fish are members of Osteichthyes, which is an extremely diverse and abundant group consisting of 45 orders, and over 435 families and 28,000 species. It is the largest class of vertebrates in existence today. 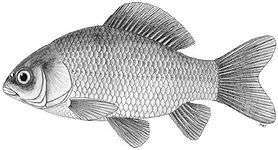 The group Osteichthyes is divided into the ray-finned fish (Actinopterygii) and lobe-finned fish (Sarcopterygii). The oldest known fossils of bony fish are about 420 million years ago, which are also transitional fossils, showing a tooth pattern that is in between the tooth rows of sharks and bony fishes. Osteichthyes can be compared to Euteleostomi. In paleontology, the terms are synonymous. In ichthyology, the difference is that Euteleostomi presents a cladistic view which includes the terrestrial tetrapods that evolved from lobe-finned fish, whereas on a traditional view, Osteichthyes includes only fishes and is therefore paraphyletic. However, recently published phylogenetic trees treat the Osteichthyes as a clade. Guiyu oneiros, the earliest known bony fish, lived during the Late Silurian, 419 million years ago). It has the combination of both ray-finned and lobe-finned features, although analysis of the totality of its features place it closer to lobe-finned fish. Bony fish are characterized by a relatively stable pattern of cranial bones, rooted, medial insertion of mandibular muscle in the lower jaw. The head and pectoral girdles are covered with large dermal bones. The eyeball is supported by a sclerotic ring of four small bones, but this characteristic has been lost or modified in many modern species. The labyrinth in the inner ear contains large otoliths. The braincase, or neurocranium, is frequently divided into anterior and posterior sections divided by a fissure. Early bony fish had simple lungs (a pouch on either side of the esophagus) which helped them breathe in low-oxygen water. In many bony fish these have evolved into swim bladders, which help the body create a neutral balance between sinking and floating. (The lungs of amphibians, reptiles, birds, and mammals were inherited from their bony fish ancestors.) They do not have fin spines, but instead support the fin with lepidotrichia (bone fin rays). They also have an operculum, which helps them breathe without having to swim. Bony fish have no placoid scales. Mucus glands coat the body. Most have smooth and overlapping ganoid, cycloid or ctenoid scales. Traditionally, Osteichthyes is considered a class, recognised on having a swim bladder, only three pairs of gill arches, hidden behind a bony operculum and a predominately bony skeleton. Under this classification systems, the Osteichthyes are paraphyletic with regard to land vertebrates as the common ancestor of all Osteichthyes includes tetrapods amongst its descendants. The largest subclass, the Actinopterygii (ray-finned fish) are monophyletic, but with the inclusion of the smaller sub-class Sarcopterygii, Osteichthyes is paraphyletic. This has led to an alternative classification, splitting the Osteichthyes into two full classes. 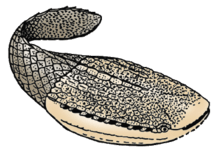 Paradoxically, Sarcopterygii is under this scheme considered monophyletic, as it includes the four classes of tetrapods. Most bony fish belong to the ray-finned fish (Actinopterygii); there are only eight living species of lobe-finned fish (Sarcopterygii), including the lungfish and coelacanths. ray-finned fish Actinopterygii, or ray-finned fishes, constitute a class or subclass of the bony fishes. The ray-finned fishes are so called because they possess lepidotrichia or "fin rays", their fins being webs of skin supported by bony or horny spines ("rays"), as opposed to the fleshy, lobed fins that characterize the class Sarcopterygii which also, however, possess lepidotrichia. These actinopterygian fin rays attach directly to the proximal or basal skeletal elements, the radials, which represent the link or connection between these fins and the internal skeleton (e.g., pelvic and pectoral girdles). In terms of numbers, actinopterygians are the dominant class of vertebrates, comprising nearly 99% of the over 30,000 species of fish (Davis, Brian 2010). They are ubiquitous throughout freshwater and marine environments from the deep sea to the highest mountain streams. Extant species can range in size from Paedocypris, at 8 mm (0.3 in), to the massive ocean sunfish, at 2,300 kg (5,070 lb), and the long-bodied oarfish, to at least 11 m (36 ft). lobe-finned fish Sarcopterygii (fleshy fin) or lobe-finned fish constitute a clade (traditionally a class or subclass) of the bony fish, though a strict cladistic view includes the terrestrial vertebrates. The living sarcopterygians are the coelacanths, lungfish, and the tetrapods. Early lobe-finned fishes have fleshy, lobed, paired fins, which are joined to the body by a single bone. Their fins differ from those of all other fish in that each is borne on a fleshy, lobelike, scaly stalk extending from the body. Pectoral and pelvic fins have articulations resembling those of tetrapod limbs. These fins evolved into legs of the first tetrapod land vertebrates, amphibians. They also possess two dorsal fins with separate bases, as opposed to the single dorsal fin of actinopterygians (ray-finned fish). The braincase of sarcoptergygians primitively has a hinge line, but this is lost in tetrapods and lungfish. Many early lobe-finned fishes have a symmetrical tail. All lobe-finned fishes possess teeth covered with true enamel. The phylogeny of living bony fishes is shown in the cladogram. All bony fish possess gills. For the majority this is their sole or main means of respiration. Lungfish and other osteichthyan species are capable of respiration through lungs or vascularized swim bladders. Other species can respire through their skin, intestines, and/or stomach. Osteichthyes are primitively ectothermic (cold blooded), meaning that their body temperature is dependent on that of the water. But some of the larger marine osteichthyids, such as the opah, swordfish and tuna have independently evolved various levels of endothermy. Bony fish can be any type of heterotroph: numerous species of omnivore, carnivore, herbivore, filter-feeder or detritivore are documented. Some bony fish are hermaphrodites, and a number of species exhibit parthenogenesis. Fertilization is usually external, but can be internal. Development is usually oviparous (egg-laying) but can be ovoviviparous, or viviparous. Although there is usually no parental care after birth, before birth parents may scatter, hide, guard or brood eggs, with sea horses being notable in that the males undergo a form of "pregnancy", brooding eggs deposited in a ventral pouch by a female. The ocean sunfish is the heaviest bony fish in the world, while the longest is the king of herrings, a type of oarfish. Specimens of ocean sunfish have been observed up to 3.3 metres (11 ft) in length and weighing up to 2,303 kilograms (5,077 lb). Other very large bony fish include the Atlantic blue marlin, some specimens of which have been recorded as in excess of 820 kilograms (1,810 lb), the black marlin, some sturgeon species, and the giant and goliath grouper, which both can exceed 300 kilograms (660 lb) in weight. In contrast, the dwarf pygmy goby measures a minute 15 millimetres (0.59 in). Arapaima gigas is the largest species of freshwater bony fish. The largest bony fish ever was Leedsichthys, which dwarfed the beluga sturgeon, ocean sunfish, giant grouper, and all the other giant bony fishes alive today. Cartilaginous fishes can be further divided into sharks, rays and chimaeras. In the table below, the comparison is made between sharks and bony fishes. For the further differences with rays, see sharks versus rays. Pelvic fins Usually posterior. Mostly anterior, occasionally posterior. Gill openings Usually five pairs of gill slits which are not protected by an operculum. Five pairs of gill slits protected by an operculum (a lateral flap of skin). Stomach Typically J-shaped Shape variable. Absent in some. Retina Lacks cones Most fish have double cones, a pair of cone cells joined to each other. Wikimedia Commons has media related to Osteichthyes. Ostracoderm - armoured jawless fish. ↑ Betancur-R, Ricardo; et al. (2013). "The Tree of Life and a New Classification of Bony Fishes". PLOS Currents Tree of Life (Edition 1). doi:10.1371/currents.tol.53ba26640df0ccaee75bb165c8c26288. ↑ "2009/03/guiyu-oldest-articulated-osteichthyan_26". palaeoblog.blogspot.com. Retrieved 2014-01-25. ↑ "Descubrimiento de fósil de pez óseo en China aporta nuevos conocimientos clave sobre origen de los vertebrados_Spanish.china.org.cn". spanish.china.org.cn. Retrieved 2014-01-25. ↑ Zhu, M; Zhao, W; Jia, L; Lu, J; Qiao, T; Qu, Q (2009). "The oldest articulated osteichthyan reveals mosaic gnathostome characters". Nature. 458: 469–474. doi:10.1038/nature07855. PMID 19325627. ↑ Coates, M.I. (2009). "Palaeontology: Beyond the Age of Fishes". Nature. 458: 413–414. doi:10.1038/458413a. PMID 19325614. ↑ Post details: Critical transitions in fish evolution lack fossil documentation Science Literature, 27 March 2009. ↑ PharyngulaScience blogs, 1 April 2009. ↑ Clack, Jennifer A. (27 June 2012). Gaining Ground, Second Edition: The Origin and Evolution of Tetrapods. Indiana University Press. p. 23. ISBN 0-253-00537-X. Retrieved 12 May 2015. ↑ Laurin, Michel (2 November 2010). How Vertebrates Left the Water. University of California Press. p. 38. ISBN 978-0-520-94798-6. Retrieved 14 May 2015. ↑ Benton, Michael (4 August 2014). Vertebrate Palaeontology. Wiley. p. 281. ISBN 978-1-118-40764-6. Retrieved 22 May 2015. ↑ Parsons, Alfred Sherwood Romer, Thomas S. (1986). The vertebrate body (6th ed.). Philadelphia: Saunders College Pub. ISBN 978-0-03-910754-3. ↑ Betancur-R; et al. (2013). "The Tree of Life and a New Classification of Bony Fishes.". PLOS Currents Tree of Life (Edition 1). doi:10.1371/currents.tol.53ba26640df0ccaee75bb165c8c26288. ↑ Betancur-R; et al. (2013). "Complete tree classification (supplemental figure)" (PDF). PLOS Currents Tree of Life (Edition 1). ↑ Betancur-R; et al. (2013). "Appendix 2 – Revised Classification for Bony Fishes" (PDF). PLOS Currents Tree of Life (Edition 1). ↑ Wegner, Nicholas C., Snodgrass, Owen E., Dewar, Heidi, John, Hyde R. Science. "Whole-body endothermy in a mesopelagic fish, the opah, Lampris guttatus". pp. 786–789. Retrieved May 14, 2015. ↑ "Warm Blood Makes Opah an Agile Predator". Fisheries Resources Division of the Southwest Fisheries Science Center of the National Oceanic and Atmospheric Administration. May 12, 2015. Retrieved May 15, 2015. "New research by NOAA Fisheries has revealed the opah, or moonfish, as the first fully warm-blooded fish that circulates heated blood throughout its body..."
↑ Sepulveda, C.A. ; Dickson, K.A. ; Bernal, D.; Graham, J.B. (1 July 2008). "Elevated red myotomal muscle temperatures in the most basal tuna species, Allothunnus fallai" (PDF). Journal of Fish Biology. 73 (1): 241–249. doi:10.1111/j.1095-8649.2008.01931.x. Archived from the original (PDF) on February 7, 2013. Retrieved 2 November 2012. ↑ "Tuna — Biology Of Tuna". Retrieved September 12, 2009. ↑ "Mola (Sunfish)". National Geographic. Retrieved 28 October 2016. ↑ Based on: Kotpal R. L. (2010) Modern Text Book Of Zoology Vertebrates Pages 193. Rastogi Publications. ISBN 9788171338917. ↑ Romer, Alfred Sherwood; Parsons, Thomas S. (1977). The Vertebrate Body. Philadelphia, PA: Holt-Saunders International. pp. 396–399. ISBN 0-03-910284-X. ↑ Schwab, IR; Hart, N (2006). "More than black and white". British Journal of Ophthalmology. 90 (4): 406. doi:10.1136/bjo.2005.085571. PMC 1857009 . PMID 16572506.